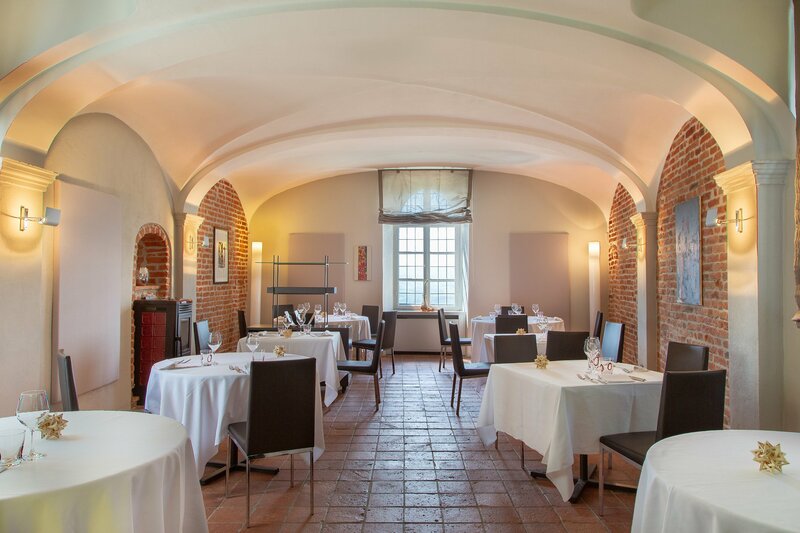 The “Al Castello” Restaurant in Santa Vittoria d’Alba is the perfect setting for discovering the simple and genuine flavors of our tradition. 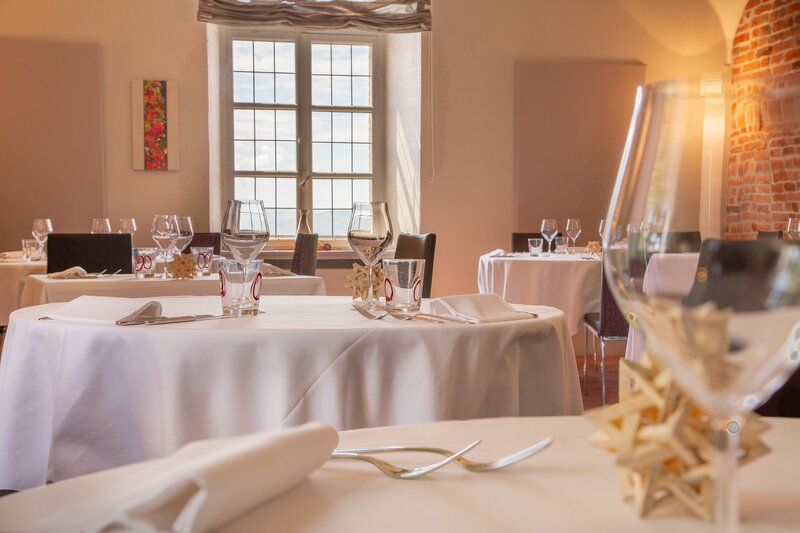 The restaurant is located within the Castello and boasts an exclusive location which satisfies every hospitality need. 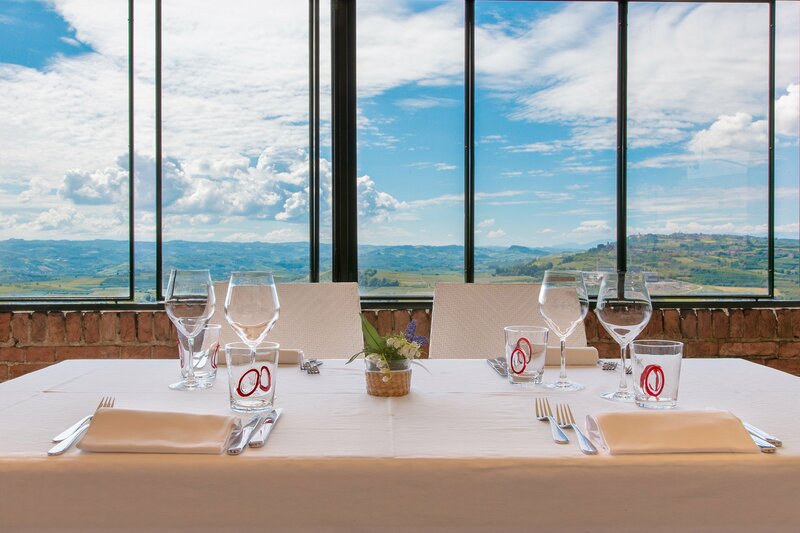 There are three separate spaces: the main dining room, intimate and cosy, the Party Hall, capable of hosting larger groups and even weddings, the outdoor summer patio, which gives you a unique view of the Langhe and Roero. Even the menu is awe-inspiring: Chef Paolo Decio interprets the Piedmontese tradition with a touch of unexpected originality. His dishes, amongst which are a few fish-based ones, are simple and balanced and exalt the primary ingredients and their seasonality. At the Castle, the guests can get to know the region through the uniqueness of these dishes.